THE DEAD RUN publishes today! Happy pub day to Voyager author Adam Mansbach, the acclaimed #1 New York Times bestselling author of Go the F**k to Sleep and Rage Is Back. Mansbach turns to a new tale of suspense, horror, and supernatural action in THE DEAD RUN, which is out today! On both sides of the border, girls are going missing and bodies are beginning to surface. It’s a deadly epidemic of crime that plunges a small-town police chief into a monster of an investigation he’s not equipped to handle. An ancient evil has returned, and now everyone—the innocent and the guilty—must face their deepest terrors. 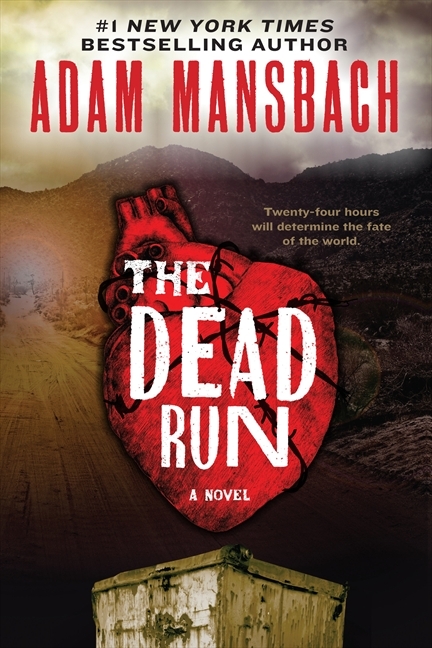 With The Dead Run Mansbach delivers an eerie high-concept thriller in a chilling, high-octane read. Watch the book trailer, read an excerpt, and find out more about this great read at www.thedeadrunbook.com.